The helmet works just like an adult helmet, with adjustments on the chin straps as well as at the back. Fits heads 46-52cm/18.1-20.5". Why is it good?Besides the cute chick popping out of an egg graphic, the shape is designed to be fairly flat at the back to work in a trailer. The Lazer toddler helmet is the least expensive of the smallest helmets I could find available in the Lower Mainland. Most cheaper toddler helmets that I've seen have elastic at the back, rather than a ratcheting plastic adjustment like the Lazer has. I'm sure that the elastic wouldn't be that snug at the smallest size & might be too tight after a while, so I think you get a much better fit as your baby grows with the Lazer helmet. For a kid with an average size head, this will work from about 11 months to over three years old. 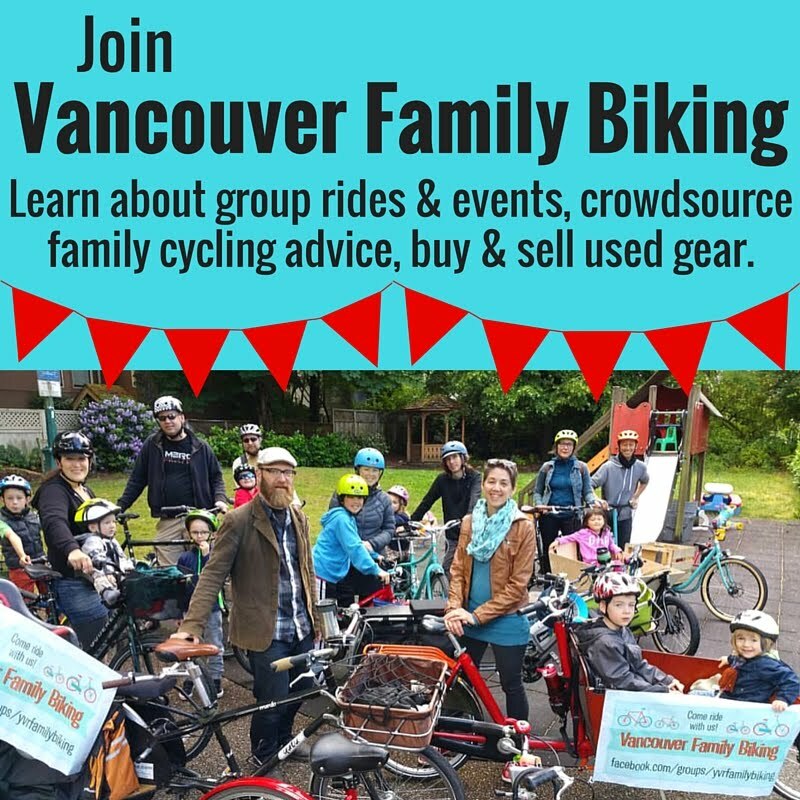 Cambie Cycles & Whoa! Nellie (in Vancouver). UPDATE 17June2012: Ride On Cycles on Main Street has the best price: $30. *I didn't get any compensation for writing this review, I just bought the helmet & like it.